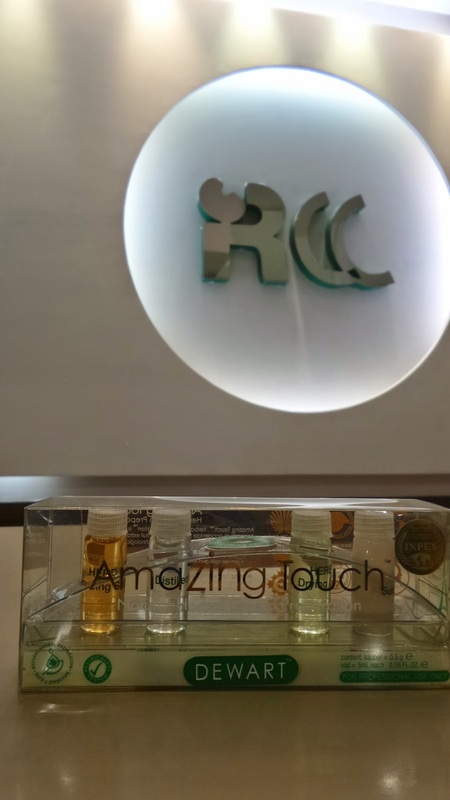 It has been probably six years since I last visited an RCC Amazing Touch clinic. Believe it or not I have acquired some skin disorders, other than pimples and wrinkles. Pimples can be easily ruled out if managed properly, wrinkles however is a different issue in itself. 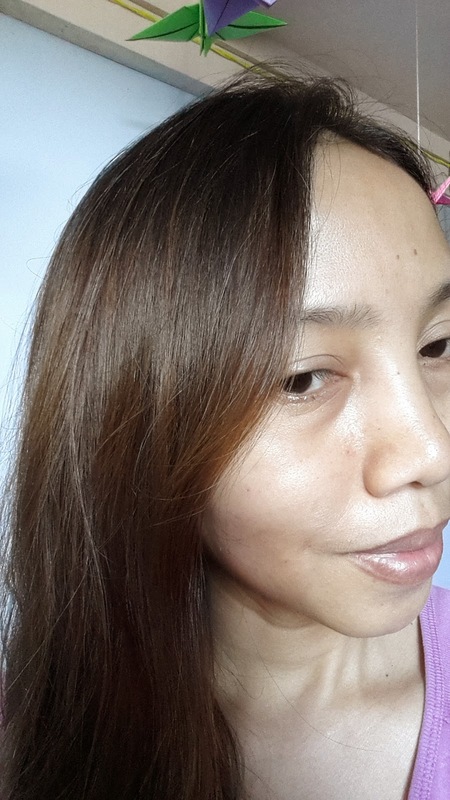 The other problem I have on my skin is the appearance of mini bumps that the derma specialists does not like to handle, unless be electrically cauterized. I'm not talking about warts, but the ones I have are the pesky little white spots which had clustered under my eye bags, some above m cheeks and on the sides of my nose. I used to be annoyed and might I mention that I'm ashamed of sharing this to you. But I adhered to the saying that a problem shared is a problem solved. I used to have them in clusters and no amount of make-up have hid them and frequent visits to the facial center didn't help as well. Some skin care practitioners call these tiny dots syringoma (\sir-iŋ-ˈgō-mə\) while others would refer to it as milia. Syringomas are benign micro tumors that form in the ducts of the sweat glands. For unknown reasons, they are formed when there is an overgrowth of cells within a sweat gland duct. The duct becomes enlarged by and clogged with the extra cells, forming a hard round bump about one to three millimeters in diameter. What is seen on the upper layer of the skin is just the "tip of the iceberg" as the major problem lies underneath. When no one told me about this condition, I would often go to different derma clinics to have them removed or explain why I had them, all they say is that it's inhereted and no matter how many times you have it removed it's not going away. As in, there isn't any cure for that. Wahh! Milia, on the other hand, occurs when surface-level skin cells are not sloughed off and so the cells clog the skin, leading to these cysts. Milia seeds are white or yellowish bumps and are also sometimes called oil seeds, these are usually small and hard. Sometimes, if a milia seed is new, it can be soft, and appear as though it is a pimple without an opening. Okay, so I had them both, milia on the ridges of my nose and syringoma under my eyes. 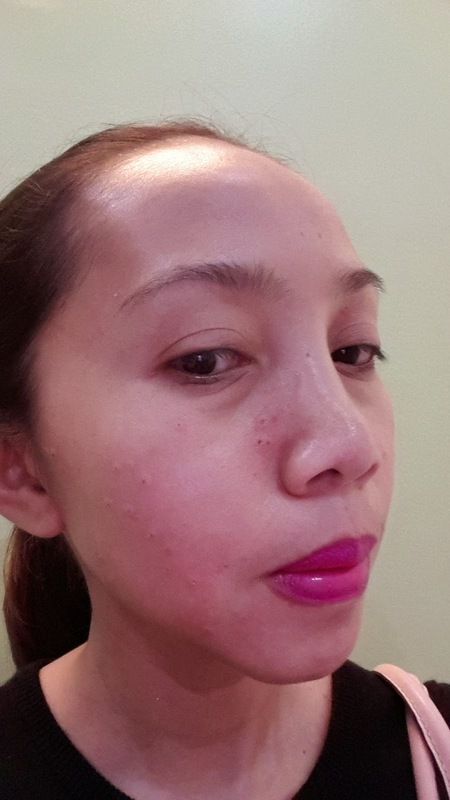 I always asked my derma to remove the milias when I had facials, and it is very painful. But you might be wondering, why it doesn't seem noticeable on my face. Well, I used to have them, as I have been telling you, and now a few have sprouted again. But I am glad to have found the best and the only way you can remove either milia or syringoma plus this is a quick and painless process. My secret is RCC Amazing Touch's herbal cautery. Well it's not actually a secret anymore, being established in 1997, many have trusted them for over 18 years already. 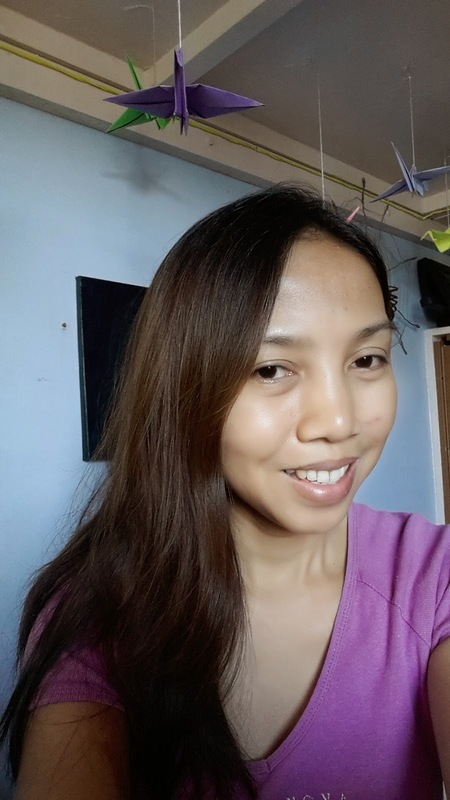 Not only have they treated cases like mine, they have made many happy by freeing them of warts, skin tags, moles, xanthelasma and even cancers. All thanks to the father of herbal cautery. inventor of RCC Amazing touch creams, Rolando C. Dela Cruz. I was surprised to hear a different and amusing side to how Mr. Dela Cruz discovered the treatment accidentally later on gave him additional income. He was first a barber before becoming a world-renowned inventor of several herbal cautery creams. Trying to get more customers and earning enough as a barber so he can send himself through college, he would go extra miles to win his customers, making them come back by treating their warts and moles with oil from cashew nuts for free. This act garnered him an opportunity that would win him several awards both here and abroad. 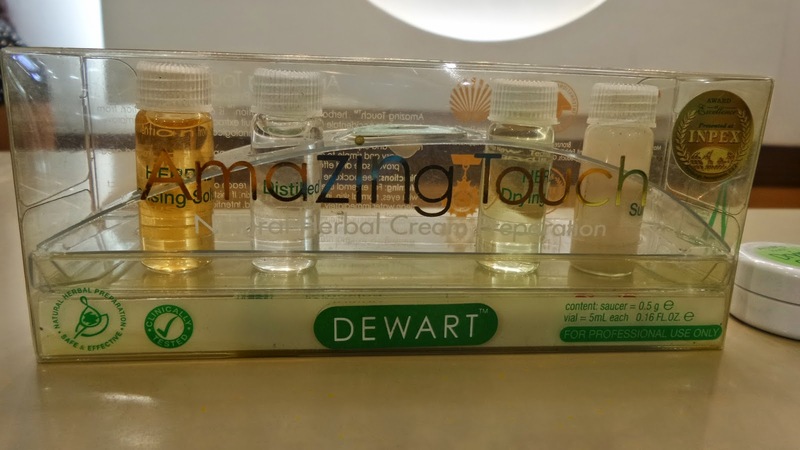 His herbal cautery invention being a world-class product have gave way for him to represent the Philippines i several coveted invention expositions and competitions in Germany, Russia, Great Britain and USA ad neighboring Asian countries. With all the Gold medals and honors he have won, the Obelisk Award is the one they would really boast off, proving the products' excellence. But the thing that is really remarkable is being able to assist many skin cancer patients. In fact, when the Skin and Cancer Foundation, Inc. made a study in partnership with PGH, 50% of the patients who have undergone treatment using RCC's herbal cautery creams got cured. Which means that the products' efficiency and success rate is exceptional. It just make me proud and happy to know that a fellow Filipino was behind it! The desyringoma cream was the one used to remove my faulty skin issue. I had the treatment 5 years ago at their SM Dasmarinas branch. And just over a week ago, I had it again, this time at their SM North branch. However, though it's recurring, it took me five years to even notice I had it again, while all along it had been the cause of my bane since I had my first baby. The results were amazing! Unlike electrocautery procedure to remove the said skin issues. herbal cautery leaves no scarring, the pain is relatively tolerable. The product/procedure which is only P 3500 is way affordable that going to the derma and have an electrocautery. I remembered m mom paid over P 8000 to have hers removed at a facial clinic. It is safe to use even near the areas in the eyes. The procedure is quick, depends on how large the scale of your skin condition is. 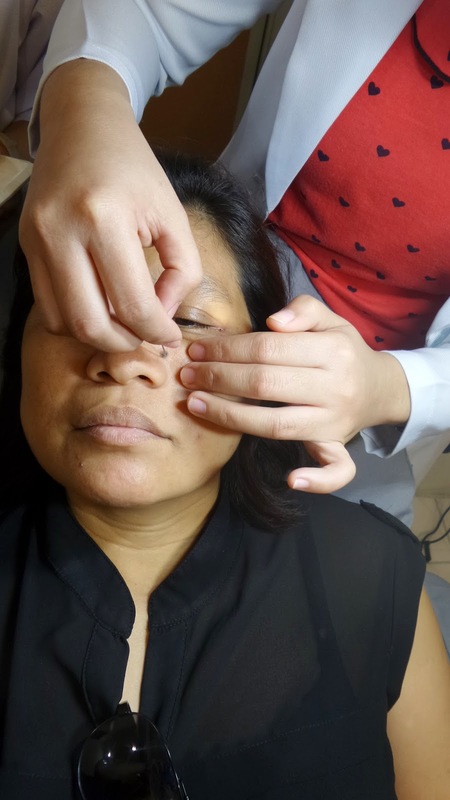 Here, my friend Lariza, a blogger from Mom's World of Arts and Happiness is having her mole treated and eventually be removed. It took her hours to decide to have it removed and it took them only 25 minutes to sanitize the mole and put the herbal cautery cream. To completely see the result, the mole to fall off on itself, it would take 3 to 5 weeks and at least 30 days for the skin to take on its natural color, but it might take a few months for other people. Here is my face after being treated, notice the swollen pinkish dots on the nose side and on the side of the cheek bone? Those are just a few of them I had removed, I actually have bigger ones but decided not to have them removed yet as we will be hitting Mactan beach a few days after this. Oh also, I had a few on my chest as well. Now, after 10 days, here is my un-touched photo without the pinhead scabs, but with the not so obvious pink and red marks from the treated parts. There are still some dreaded wounds near my nose and above m cheeks, that I'm waiting to be healed though, and once the scabs dry out ad fell off, a new bumpless, scarless and flawless skin will resurface. Thanks to Mother Earth for gifting us with cashew fruits where the oil Mr. Dela Cruz had derived his oil for the creams treating, nasty warts, moles, syringoma, milia and other skin disorders. 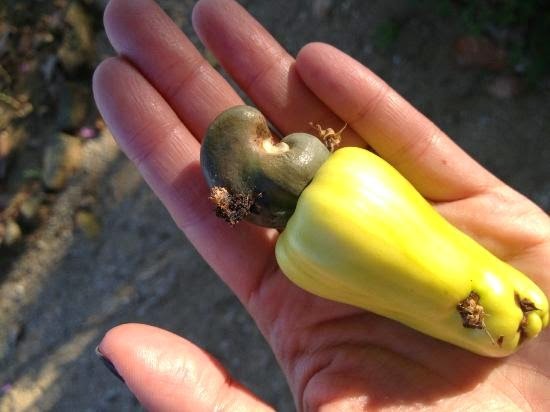 I love cashews, eating them and cooking with them, not only that they're yummy, they are healthy as well and with this world -class invention just put it a notch-higher. It's indeed amazing and it's namesake says it best! Did the milia vanish completely and did not grow again? Hi ms joy! Ilan years po bago ulit bumalik mga syringoma mo po? Mas ok po ba ang herbal cautery compared sa laser? Mas mdami po ba nung bumalik cla ulit or mejo konti lang? wait for ur reply, thank you! Hi Chiechay! I think it's a year pero mas madalang na sya so hindi naman bothersome. Masakit po ba? Ilan weeks/ month bago po nag heal mga sugat or peklat? I have be dealing with terrible syringomas over six years. grouping pumps under my eyes.i continuously taking treatment to clear them. the pumps was so embarrass and they somuch wicked to be removed. three weeks ago i found possible natural treatment online from a herbalist, i purchased the natural cleanser online. after i applied it for one week all I could found my face was cleared no pumps. I got ride of syringomas with natural herbal cleanser from Dr galiga Herbal centre. His email address drgaligaherbalcenter@gmail.com. Whatsapp contact +2349030608890. Hi sasha may i know the name of product? hi do you have pictures of your syringoma that healed? Hi Friends i am so glad to write this article today to tell the world how Dr Ekpiku cured my HSV VIRUS,i have been detected with HSV-1 AND HSV-2 since five years ago, ever since then my life has been in complete bizarre and agony,i have used so many drugs that was prescribed to me by several doctors,but it didn't cure my HSV VIRUS neither did it reduce the pain,until a certain i was checking for solution in the internet,then miraculously came across Dr Ekpiku the powerful herbalist that cure numerous individuals HSV-1 AND HSV-2 INFECTION,then i contacted his email: ekpikuspellhomeofgrace@gmail.com i explained everything to him and prepared a cure that cure my HSV-1 AND HSV-2 disease totally after receiving his herbal medicine, so my friends viewers why wait and be suffer when there is someone like Dr Ekpiku that can cure any disease HIV/ CANCER/ HEPATITIS B VIRUS, you can contact his via: ekpikuspellhomeofgrace@hotmail.com or what apps, call +2348073673757. There is a saying which says “When there is Live there is hope for thefuture”. This vibes has been motivating my spirit and keeping me stronger the more even when I am in pains and in tears. I am Glenna Trish from Ohio, US. My life turned upside down when I found out I was having Fibroid in me and the doctor said I have to undergo surgery in other to remove it but it’s going to come up after some months, inside me my heart was burning like a fire because I don’t want go for any surgery. I keep researching everyday on the internet and keep asking people around me explaining my problem to them to see if they could help me out, I did this for almost two months no result was coming out. One Faithful Morning, when I was in the Church, I met this lady who later called me after service and she told me she saw when I was busy browsing researching about how to get cure to Fibroid without surgery inside the Church, I told her yes if she could help out? She answered Yes, Inside me I was happy at last I have found a way out on how to get rid of this problem, he told me about Doctor Patrick, how he met him and how she was cured too from Fibroid that she was once a patient and his medicines has no side or bad effects. She said to me that doctor Patrick can help me out too, if only I use his herbal medicine, everything is going to be fine and is not going to come up anymore and the cure last forever. I was so happy and I took the details of the doctor, when I got home I visit his website http://patrickherbalhealinghome.my-free.website and read more about him and after that, I contacted him, I paid for the medicine and the tracking number which he used to send the medicine through DHL Courier was given to me, after three days I received it, and I read the instructions, and started using this powerful herbal medicine, I was so surprise that after one week of taking this medicine, have already started seeing changes in my body, I continued using it according to his command for two weeks and after two weeks of using it, I called the family doctor to come and run test on me, I was so surprised when he told me that he can find anything anymore that I have been cured already and there is nothing showing up, I thought he was playing, I visited two extra hospitals and they said the same thing, I took the phone and called Doctor Patrick immediately and thank him for what he has done for me, infact, he was sent by God to heal me and save my Marriage Life. Contact doctor today if you are having any issues with your health on his email address HERBALMEDICALHOME@GMAIL.COM and you can read more about him on his websiteaddress http://patrickherbalhealinghome.my-free.website His office is in USA, UK, Canada, Grenada’s, West African Countries and many other countries, here is one of his worker phone number +1 302-583-2195, you can text him or call him then he will direct your call to Doctor Patrick and for those who are in West African Country and other countries you can write to one of his worker on whats-app or talk to him on call and he will direct your call to Doctor Patrick if you wish to speak to him, number is +2348113872021. Once More again Thanks to Doc. Patrick and thanks to the Lady who directed me to him. * Hack and UPGRADE UNIVERSITY GRADES * Hack into any BANK WEBSITE * Hack into any COMPANY WEBSITE * Hack into any GOVERNMENT AGENCY WEBSITE * Hack into SECURITY AGENCY WEBSITE and ERASE CRIMINAL RECORDS * Hack into any DATA BASE * Hack PAYPAL ACCOUNT * Hack WORDPRESS Blogs * Untraceable IP etc * We can restore LOST FILES AND DOCUMENTS , no matter how long they have been missing NOTE We can also teach you how to do the following with our e-Book and online tutorials * We have worked for many company and organizations from different location in the universe. Our team are best hackers alive. How long until your skin became clear again? And can you remember how long the scabs stayed on your face? Successful natural home remedies for several folks have been banana peels, Aloe Vera gel and also pastes made of anti aging. In fact whenever you are suffering from plantar warts you are probably inclined to try most situations, but patience is the key. Continue no matter what cure you choose to use and don't expect overnight wonders. In case your condition is improving keep going. But, it is almost always best to be viewed by your regional podiatrist to verify that you own a wart, urge the best choice for the warts and to track your own treatment.Although you should try wart removal, you can get more home remedies to get rid of warts of any kind.